Why our customers like working with us. Expert business advice, we’re don’t just talk technology. It’s our technology so if you want something bespoke you can have it. We are Australian based, with owners who work in the business every day. We understand the local conditions and we partner with local companies. Our Support team is based here in Australia, so we work when you do and are only a call or a few hours away. What sort of companies do we work with? Most of our clients are operating established businesses and are looking to build on their success. Some are manufacturers, importers, consultants, franchise, educators, event organisers, catering, financial services, government agency and not for profits. All with different business models, different staff numbers, different industries and different needs. The one thing they all have in common is that they want to work SMARTER. They know that if their systems were more efficient, they’d have more time and they’d be making more money. They know they need a truly tailored software solution and they’re looking for the right advice to move forward with confidence and control. Usually a business comes looking for something to make doing business easier, faster, cheaper (in the medium / long term) and if its software they are looking for, then it needs to grow with them and be flexible and future proof. The customers that get the most out of our software are the ones that see the big picture, understand that they need to be engaged and the they are hungry for doing things that improve everyone’s day to day lives and gets them ahead of their competition. We are able to work with any business model. That isn’t just a claim but a fact. Providing that both side are focused on the end result make reasonable changes to the way they work then we can match the CRM to work with you not against you. 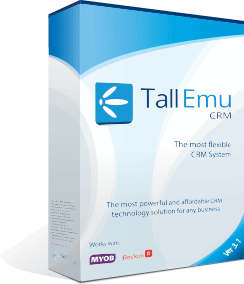 We don’t say we work perfectly out of the BOX but do have a CRM software package that is built to be flexible so that we can customise it to your needs. To start the journey correctly we need you to articulate the business to one of our Business Analysts, stay engaged and remember this is an investment for the long-term saves. By now you will know our answer to this question. Yes we support all industries. We have work in most that you’d find here in Australia. If you work in an industry that is crying out for an industry solution then speak to us about creating a CRM for your vertical and you could work with us to deliver a solution not just for you but for others. CRM for Catering Companies, CRM for Manufacturing & Distribution businesses, CRM for Importers and Exporters, CRM for B2B & B2C Retailers (Pure Online & Brick ’n’ Clicks), Data / List Brokers, CRM for Financial Services, CRM for Consultancies Practices & Services Providers, CRM for Not-For-Profit, CRM for Education & Training Organisations, CRM Travel & Accommodation, CRM for Winery, CRM for Software & Technology providers etc.